They say nostalgia isn’t what it used to be, but Busted’s brand new video for ‘Nineties’ proves otherwise. James Bourne, Charlie Simpson and Matt Willis take starring roles in a fun-filled flashback to the days of Top of the Pops, Blind Date, Nirvana, white-suited boy bands and a whole lot more. Directed by the iconic visual creative Rankin, the video also fittingly takes us back some twenty years. It was a time when music videos were big, bold and colourful, with charismatic personalities playing light-hearted scenes for laughs. Busted and Rankin first collaborated together on the press shots for their huge 2016 reunion tour, and he also shot the cover for their new album ‘Half Way There’ which will be released on February 8th. Recent weeks have seen Busted soar back into the spotlight as if they’d never been away. First, they announced the release of their eagerly-anticipated “ultimate Busted album” ‘Half Way There’ and confirmed details of next year’s huge UK arena tour. They then played three chaotic shows in a day at the 100 Club – all of which sold-out in two minutes. 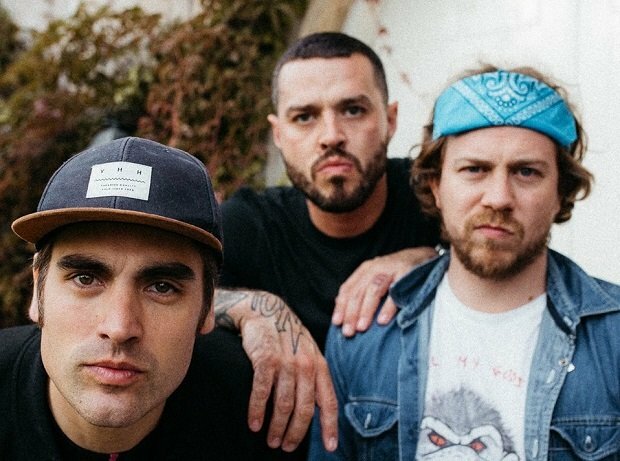 Produced by Gil Norton (Foo Fighters, Pixies), ‘Half Way There’ finds Busted growing up without growing old. It’s a rush of melody and effervescent riffs as they blend huge arena-filling choruses with the classic pop-punk sound of Blink 182 and New Found Glory. Lyrically it’s often reflective and nostalgic (‘Reunion’, ‘All My Friends’ and a mini Busted autobiography in the shape of ‘It Happens’), but there are some fantastical flights of fancy too in the shape of ‘Shipwrecked In Atlantis’ and a tribute to Elon Musk in ‘Race To Mars’.